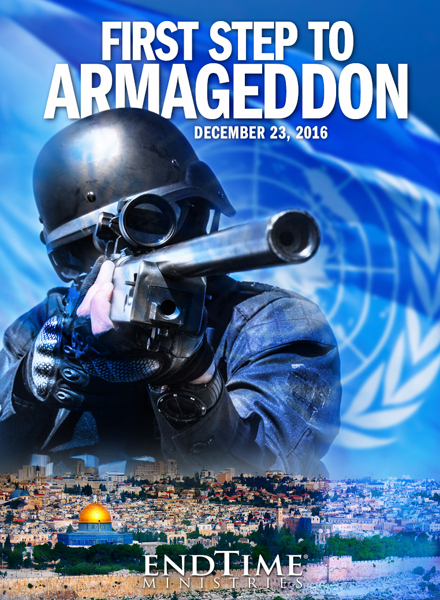 On December 23, 2016, the United Nations, with the approval of the Obama administration, passed a resolution that will inevitably lead the world into the Battle of Armageddon. It will not happen immediately but it is coming as sure as the sun rises in the east and sets in the west. Armageddon will be the world's final war and that will be the time when Jesus Christ returns to earth to put down the governments of men and to establish His eternal Kingdom. First Step to Armageddon explains what happened on December 23, 2016 and illustrates why the events of that day will ultimately culminate int he final battle described in the Book of Revelation. Every person on earth should experience First Step to Armageddon since all of us are now on the road toward the final apocalyptic war.